HydroCal Casting Stone The 'Ultimate' in casting compounds. UltraCal 30 is rated 5-1/2 times the hardness of regular casting plasters allowing incredibly fine castings without chipping or breaking when removing from the mold. A super fine silicate picks up the finest details in the most intricate molds with sharp undercuts and difficult to achieve textures. The ultra bright white casting will provide an excellent foundation for all methods of weathering. 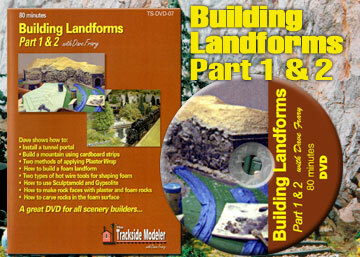 For more information on rock and casting techniques, see the video Building Landforms 1&2 by Dave Frary. Measure 1 cup cold water into a flexible plastic container. Add coloring, if used. Mix thoroughly. A retarder** may be added if needed. Slowly add in 2 cups of HydroCal. Stir until smooth. Pour into mold. Please allow a complete cure time of 24 hours before painting. **This means if HydroCal is setting too fast, add 1/2 tablespoon vinegar to 1 cup cold water. Sandy's Tip #1: ALWAYS add HydroCal to Water. NOT water to HydroCal! Sandy's Tip #2: Get in the habit of thoroughly cleaning out your mixing bowl after each batch. Leaving cured HydroCal particles in your bowl will cause the next batch to harden too quickly. CAUTION! 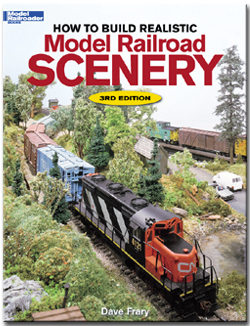 Modeling material for ages 9 and older! Gypsum may be irritating to eyes and sensitive skin. Avoid breathing powder.